I felt like making a gourmet pizza Saturday morning when I awoke. 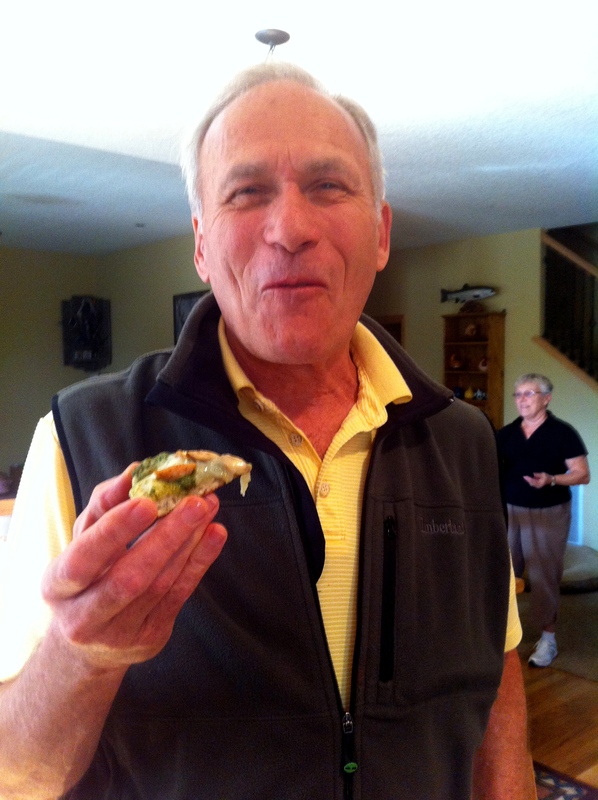 Perhaps I dreamed of eating pizza all night, perhaps I had to come up with a recipe that my family would enjoy eating wild mushrooms that I found in the mountains of Oregon. So I invited some friends and family over for a “Gourmet Pizza Night at the Nanna’s”. I was going to cook all of them on the Big Green Egg. The BGE (Big Green Egg) is going to give it the smokey taste, and can come up to 500-700 degrees depending on what temp you like. 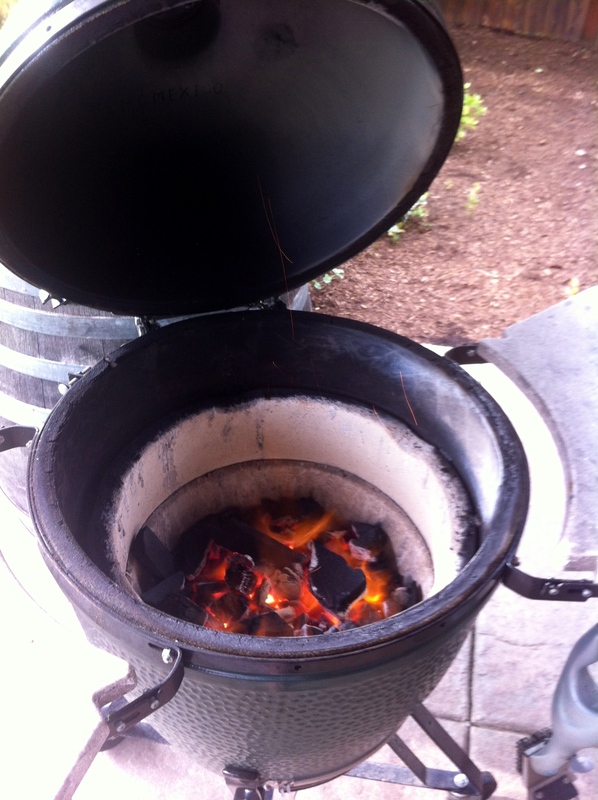 It cooks with lump charcoal and the temperature can be controlled thru dampener with ease. If you consider yourself to be a King of the BBQ, you may want to invest in one of these Big Green Eggs. Get out your handy mini-prep Cuisnart I told you to buy a hundred times at Costco for $19.95. Blend this into a fine consistent product, you are going to use this as your base and you do not want big lumps of garlic. 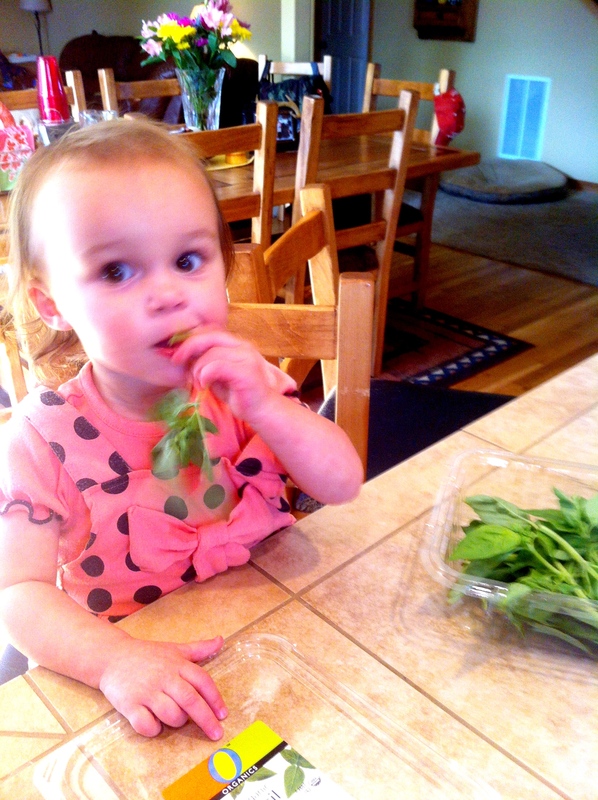 My little munchkin apparently likes Basil. Always pay attention to what your daughter is doing, when she is not making noise. Gently lather your pizza crust appropriately. Be liberal, it is going to rock your world later. Here is a good tip that a Texan taught me, his name is Jason. You can find him at griffinsgrub.com his blog is also referred to on my page, you can click on it.  He does some good stuff down there in Texas and we tend to share ideas via our blogs. At any rate, both of our wives hate it when we make pizza dough in the kitchen because we make a big mess. 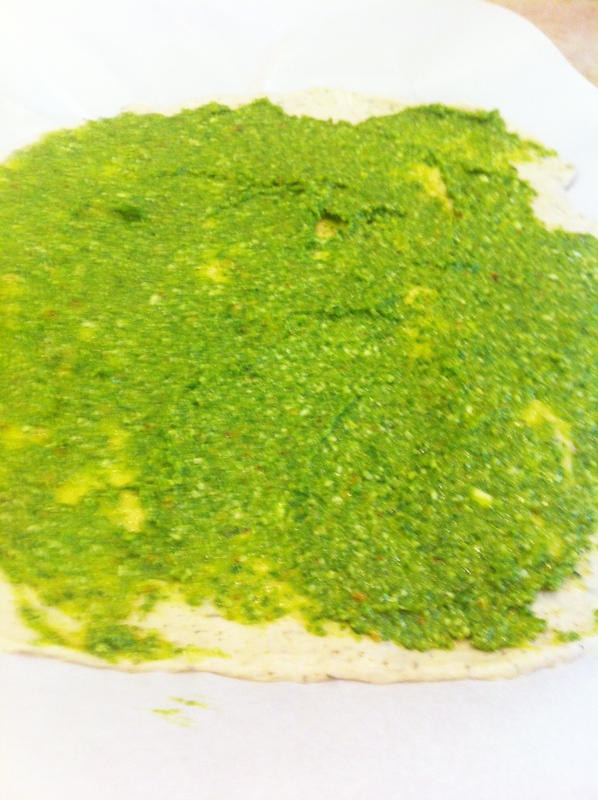 Jason told me about pizza dough from Safeway Select. Its cheap, and it is good. Better than the dough at Natures. Here is the skinny, you have to go ask for it at the Deli section in Safeway. I bought chicken tenders and I brine them in a sugar and salt solution for three hours. This is the quick brine I use for simple meats. 4 cups of water brought to boil. 3 tablespoons of Montreal steak seasoning. Dissolve the sugar, salt, and seasoning into the boiling water. Take pot to the sink and add 4 more cups of cold water. Toss your chicken in with some ice and let sit for three hours. 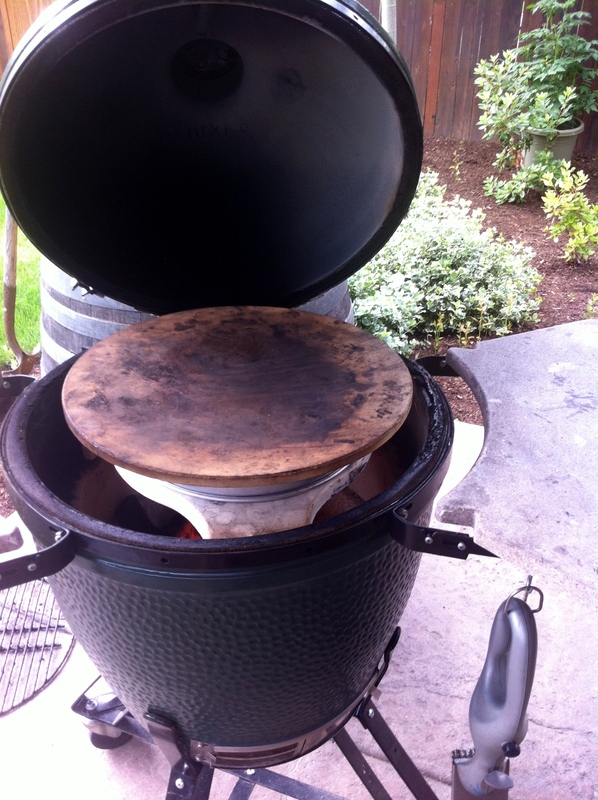 Get your BGE started, open the gates and let that baby rip. Once you have good flame, set up your pizza stone. 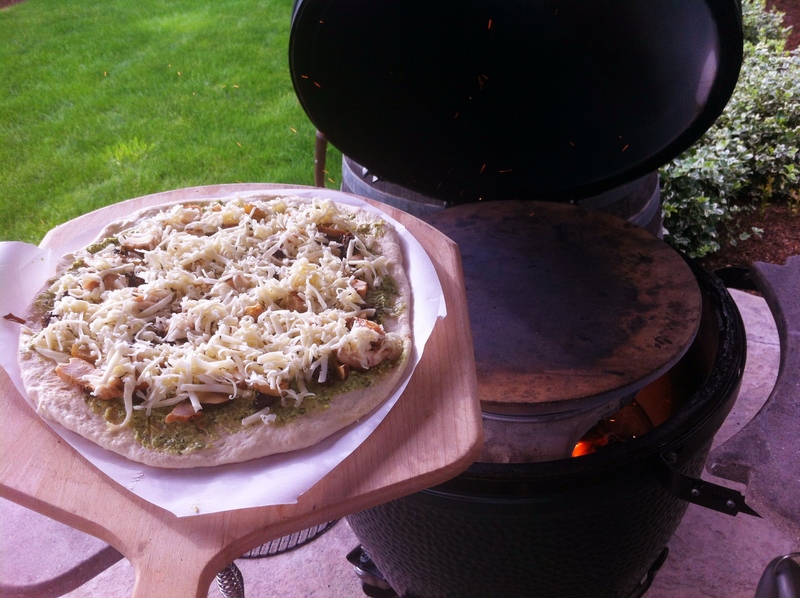 Keep the lower damper wide open and get your pizza stone and riser plate ready. I even use another cooking muffin pan in efforts to get it higher in the egg for browning. A little trick I use, because I was having a problem browning the top of the pizza. Rinse chicken off and let dry with some seasoning. 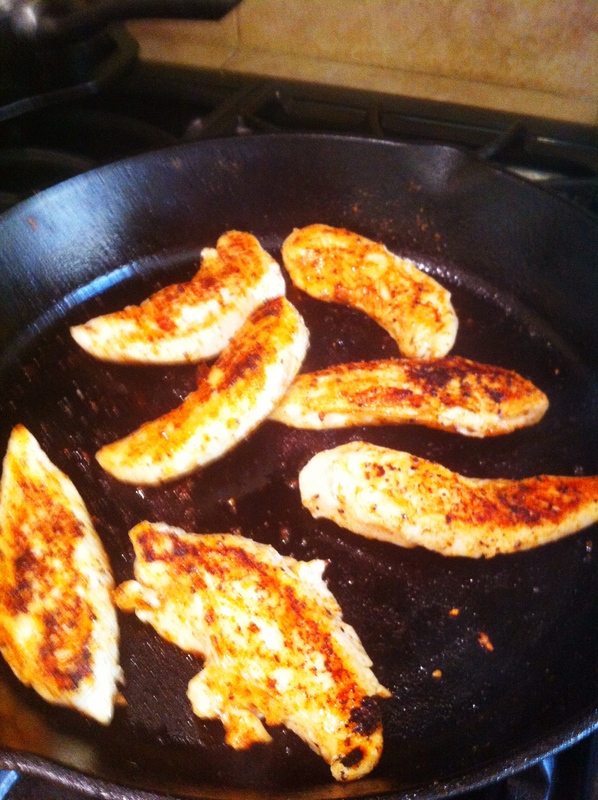 I use salt, pepper, garlic powder, paprika and a little cayenne on my chicken cause I want a little kick. But use what ever flavors you like. Do not over season, just a little. 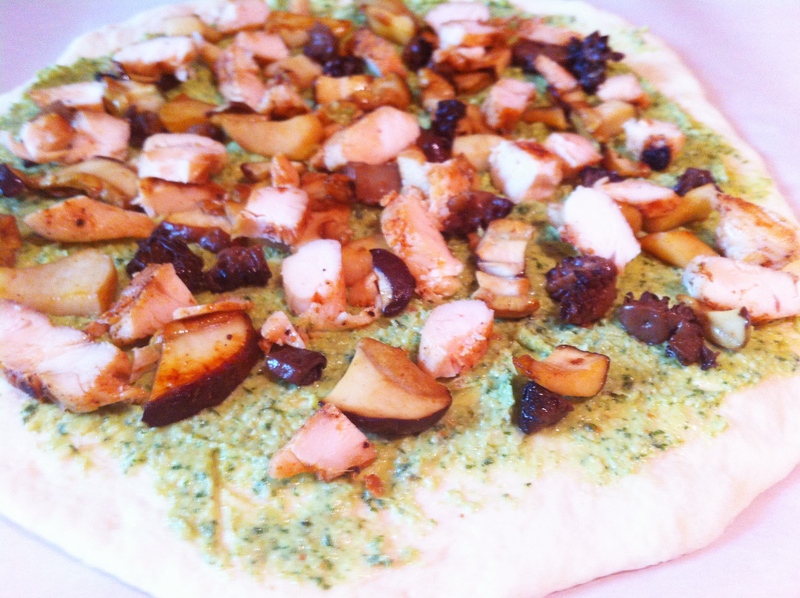 You do not want to take away from the other wonderful taste you are going to have on this pizza. Grilled on a cast iron pan, browned on each side for about 4 minutes. Do not over cook. I sliced my wild king boletes and morel mushrooms I found that day. After I cleaned the mushrooms (soak the morels in salt water for an hour). I slice them and add them to pan on medium heat. I took one large king boletes, and four large morels. Probably a cup and half of mushrooms. You can use any variety. 1/2 tablespoon of Sherry. I just splash the pan. Add your olive oil, butter, and mushrooms and cook slowly. Once they begin to sweat on both sides, I add the sherry and hit the pan with a little sea salt. Once the mushrooms begin to brown remove them and put on a dish with a paper towel. 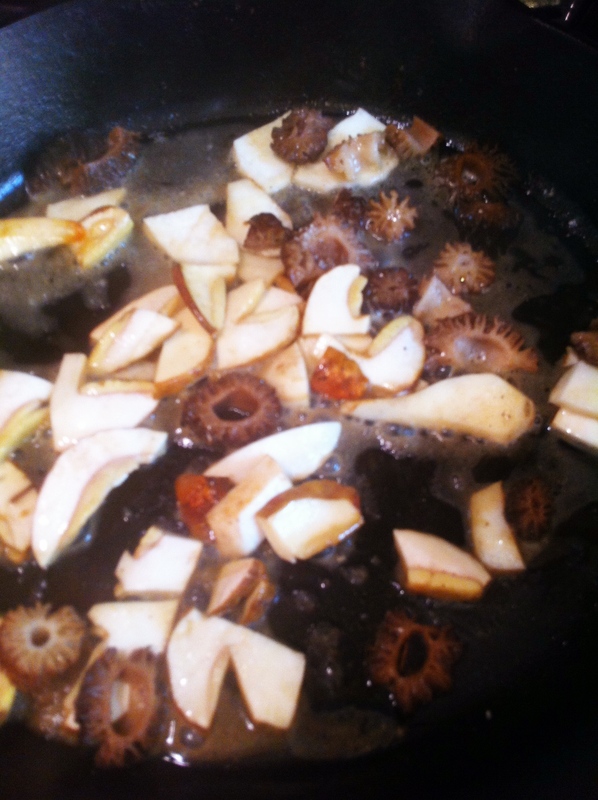 Do not cook on high, you want the mushrooms to take on the flavor…slowly. Now it is time to finish the pie. This is when the masterpiece comes together. Notice I do not skimp on portion here. I want a flavor morsel on each bite. I want this pizza to take the person into heaven each time they take a bite. I use Fontana cheese. 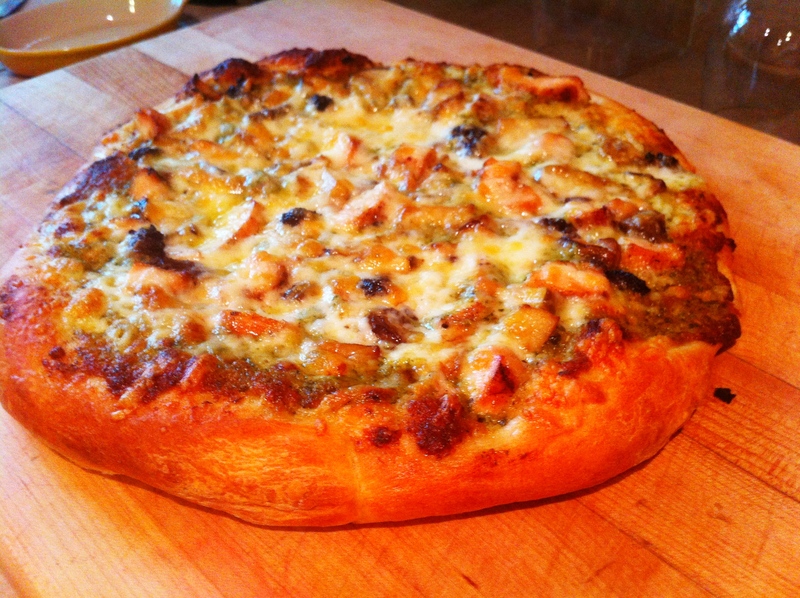 In fact, if you are going to make this pizza I suggest you doing the same. You can get it in the select cheese department at the grocery store next to parmesan cheese. It is excellent and takes it over the top. I grade enough to cover the pizza, about a cup and half. Notice that my pizza is sitting on parchment paper? I got this from Griffinsgrub.com and I got to tell you, it is genius! I have been fighting the pizza to the hot stone issue for ever. You put it on the paper, it slides onto the pizza shovel and right onto the hot stone. After a few minutes, remove the paper. Notice the parchment paper is trimmed up with a little paper handle to pull it out from the pizza after it sits on the stone for about 4 minutes. I have my BGE at 550 degrees and this should take less than 10 minutes. I move the pizza around, and that is okay. Do not do it every minute, but I move it every 3-4 minutes. I know it is done when the crust is nice and brown on the bottom. Let it sit for a few minutes before slicing. It has great color, and smells so awesome you start to salivate. We had some friends of the family over and they thought it was pretty darn good. 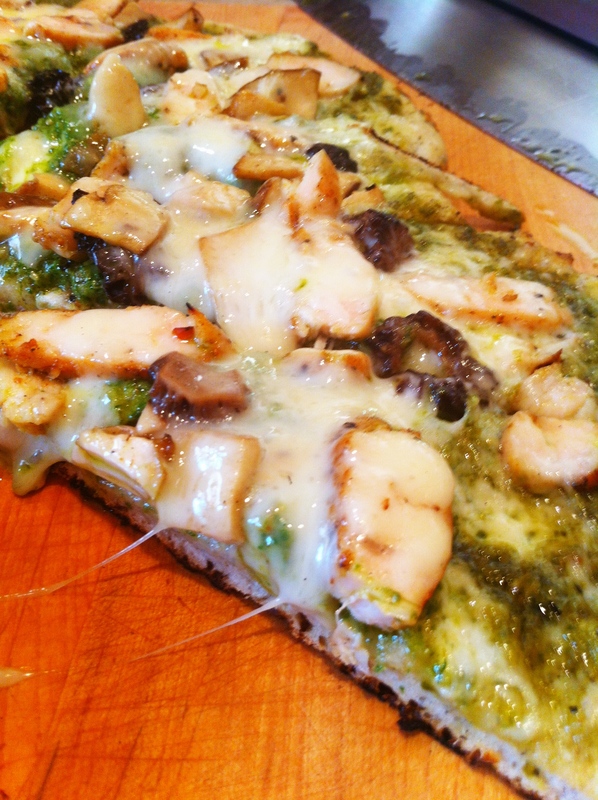 This is a pizza that will rock your socks off. It takes time, and perhaps some good mushroom foraging but at the end of the day you accomplished something great, something that defines you as food artist. Gourmet Pizza at its best. I hope you enjoy it. I had it again last night because I did not get to eat a piece. Sometimes people ask me if I had once last meal what would it be? This would make the list, probably buy me a little more time too why they went out to find King Bolete’s and Morels too. Glad you found the dough. That sauce sounds amazing. I’ll be trying that next time we fire up the Egg for pizza. Try it Jason you will love it. You can use store bought mushrooms. Too bad you weren’t closer I could teach you a few things about hunting them in the mountains! 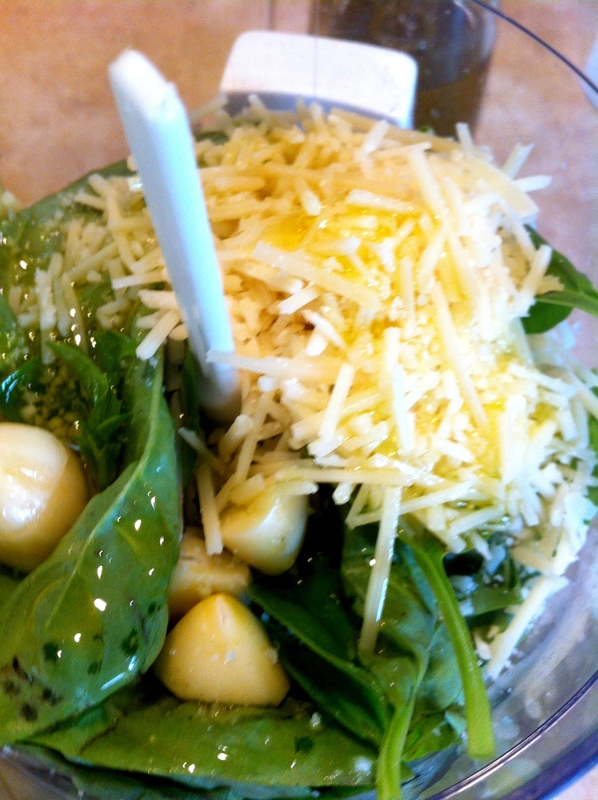 I had no idea you had a blog…I am going to have to follow this one and steal some of your recipes! I’m on the down low. Did you see Brenda on Martinis and Meatloaf?